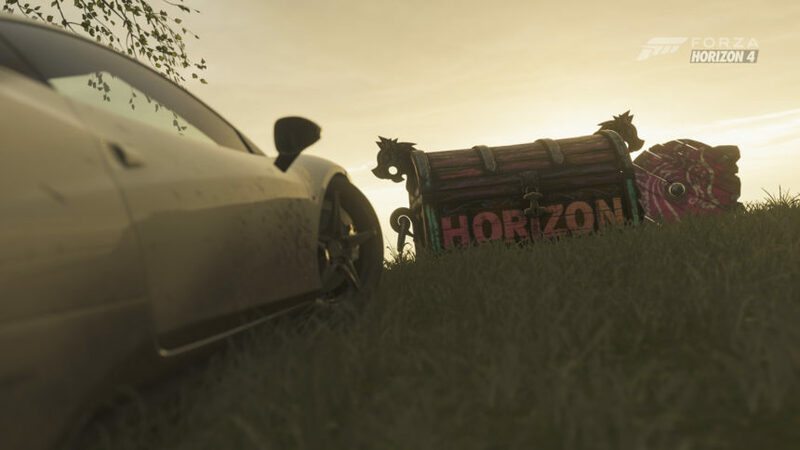 "Let us explore the many fortunes to be had on this island"
Forza Horizon 3 had some completely bonkers add-ons, such as the Hot Wheels one, which was more like GTA Online than anything else. Forza Horizon 4 comes along and we now have our first expansion, but instead of doing another off the wall job, we seem to have something that has reigned it in. It does still have a small amount of compulsory madness, but it is more like a refined dose instead of full-blown. The question is though, does it fit in-line with the main game or should it have been left in the garage? The answer is yes. What Fortune Island lacks in full on bonkers content, it makes up for in all the other departments. Some of the roads would not look out of place on a motoring programme, no matter what side of the TV channel divide you sit on. It maintains a feeling of Britain whilst getting a bit more extreme, but you really need to be looking at the green haze of the Northern Lights as you’re blasting through the coastline at over 100 miles an hour. 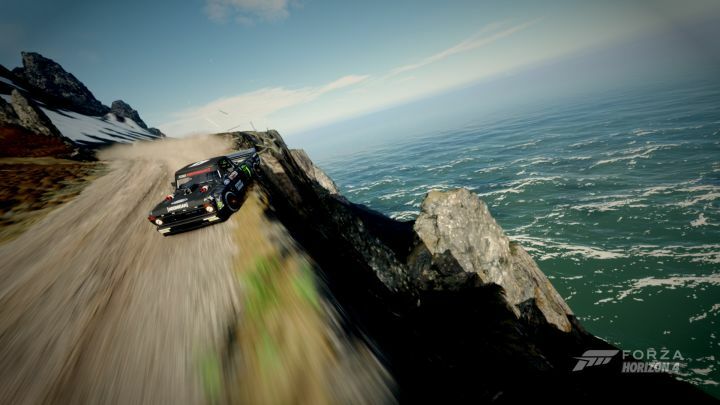 The rest of Fortune Island maintains the same great chassis that Forza Horizon 4 gave us on launch, reimagining some of the more rewarding options, with 1,000,000 credit treasure chests replacing barn finds, as well as some crazy drift sections hitting your senses alongside the speed cameras and so on. It feels like a natural progression. There is no real difference in the cars for this, obviously, but then they stole the show. As I mentioned earlier, the Northern Lights really add a character to the environment, as well as a coastline feel near the edges of the island. It feels more like a Cornish island with all the small boats and other touches. What I noticed on my playthrough was that there were loads of places you could stop and just admire the view. I did do it in a Jaguar, mainly because I could never even imagine to do that in real life. I do like the fact that it retains enough of the main game, whilst being able to give itself an identity of its own. The weather effects are lovely and there is an addition of thunderbolts and lightning (not dropping in the Queen reference) and it adds to the overall atmosphere, and I LOVE it. The engine noises are the exact same as the original game, and the music is also the same, so there is nothing additional to report here, but when the quality is as good as it is, you don’t really complain much. The main game is a finely balanced beast and this continues onto Fortune Island. All of the racing and other motorsport options have the same options as the mainland, with my own personal favourite, seeing as how it is SO addictive, being the rivals one. There is no really bad feeling towards the Forza series in general because it never feels like a dodgy Mario Kart difficulty where people will ALWAYS catch you up, regardless of how great you are driving. I feel that the additional versions of checkpoint racing adds to the difficulty as well because you then get an overwhelming sense of freestyling and this can then lead to complete distraction. This means that the only person that can affect the difficulty is yourself. Finding hidden treasures replace barn finds, and you can only get a treasure by solving riddles. I like the fact that you have to work for these a little more, but the great thing is that you can head back to the UK to help progress this. It is a great way to keep your toe in the main game whilst trying to keep yourself getting through Fortune Island, which is a great touch. When I reviewed the main Forza Horizon title, I raved about it and thought it was the greatest return to form of the arcade genre in a long time, comparing it to PGR and so on. This just further cements how great a game it is and also that it is a fantastic game in its own right. The DLC really does add a more refined experience as well as being a bit more outlandish. It looks lovely and gives you more extreme photo opportunities to get under your belt. It also keeps things tight in the racing department by supplying you with a lovely terrain and some of the greatest drives in gaming. It is such a refined end-product and the fact that these DLC trinkets have a lot more creative freedom to pick roads that are not ones that HAVE to be real is brilliant. I am a happy camper with all of this new content. I just need to buy a camper van from the festival to stay in before I stay for a long, LONG time.